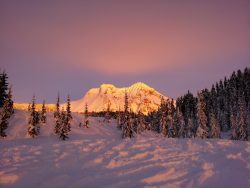 Our course content is designed by snowmobilers, for snowmobilers, follows the British Columbia Snowmobile Federation, Canada Safety Council course guidelines and surpasses WorkSafe BC requirements. We’ve added extra content to the program based on genuine expertise, expanding the course to cover, how to get unstuck quickly and efficiently, common trail side repairs, basic avalanche skills and more. Our instructors have years of experience and skills, which are passed on to our students in a fun, efficient, and effective manner. The skills learned will save you time, money, effort and most importantly, will help keep you safe. 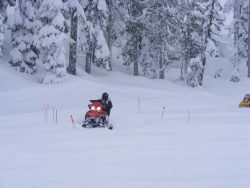 The course consists of discussion lessons, riding lessons, course manual, written test, various safety information handouts, and optional: safe snowmobile operation DVD. 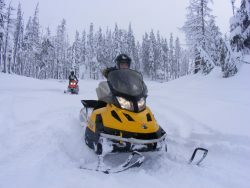 The discussion lessons, course manual, and handouts, provide discovery and discussion of the principles and practice of riding a snowmobile, prior to the implementation, as well as provide students an opportunity for review of skills obtained post training. The riding lessons provide Hands-on practice of riding exercises under the supervision of a Certified Instructor. 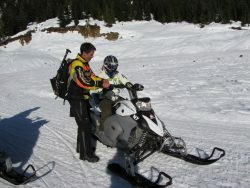 Instruction and observations are provided to encourage safe and proficient snowmobile operation. 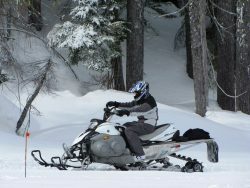 Trail riding allows students to practice and hone the skills learned on the riding range, and put them to use in real wold snowmobiling conditions similar to those they are likely encounter in the field. 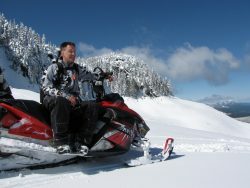 We offer on-site snowmobile safety training as well as safety assessments to address the safety requirements of your workplace setting.